Chapter 1. So, You Want to Be a Landlord? Five months later you wake up in a daze, covered in claw marks and Circus peanuts, with five cents in your bank account, a process server standing over you and a court summons in their hand. What happened? Well, you become a landlord. It’s not as easy as it seems. Most people who end up in the position of becoming a landlord are, well, responsible people. And as responsible people, they’ve usually had very good experiences as tenants. So you’re sitting there thinking that your tenants are going to be like you. But they probably aren’t going to be. You’ve probably never, for instance, trashed a person’s house. You’ve probably never stopped paying rent for six months out of sheer malice. You’ve probably never adopted a goat on a whim and had it live in your attic because, well, why not. But these are things that people do. These are things that tenants do. Most landlords are entirely blindsided by this new, exciting world of revelry and irresponsibility because they’ve never so much as the thought of doing these things themselves. Multiply the most irresponsible thing you’ve done with a rental unit by a tenfold, and you may have some inkling of what people will do to you and your property. And it doesn’t matter where your rental unit is or how expensive it is, either, so don’t think that you’ll be able to keep yourself away from these problems. An over-worked mother of six children may very well keep your unit sparkling clean, while a single stockbroker may rip out your walls after missing one of his “anger therapy” meetings. Don’t make assumptions about people based on income, class or lifestyle. It just doesn’t work. Being a landlord means that you end up seeing the worst of humanity simply because you’re seeing how people live. And a lot of people just… don’t… live well. And as a former tenant, you’re probably thinking you don’t want to be as much of a jerk as your former landlords — but you may quickly find that this is a lofty goal. That’s not to say that you shouldn’t become a landlord. Being a landlord, when handled correctly, is quite lucrative and it’s a great way to hold on to a property when you can’t live it anymore. But you need to be realistic about the experience. It’s not easy money. It’s extremely, extremely difficult money. Every time you rent a unit, you’re essentially gambling. You’re gambling that the people you’re renting to are good, wholesome people. And sometimes you’ll win, and sometimes you’ll lose. But these are not bets on a metaphysical level. These are bets with money. When you lose, you lose hard… and if you’re operating on thin profit margins already, you may just lose your property itself. So before you move forward with becoming a landlord, you should strongly think about your goals, reflect on your resources and – what the heck – maybe finish reading this book. This book is intended as an all-in-one resource for landlords based on an incredible amount of experience with both the best and the worst tenants. Though everyone has a different reason for becoming a landlord, the primary reason is usually profit. As profit-generating activities go, becoming a landlord can swing wildly from one extreme to another. Depending on your situation, it can be either wildly lucrative or a huge drain on your financial resources. And it can veer from one extreme to another quite suddenly. It probably goes without saying, but renting out a property works best if you own the property outright. When you rent a property that you still have a mortgage on, your property margins are usually fairly thin. A single missed rent payment (and there will be missed rent payments) can mean that you’ll be late on your mortgage, and this could snowball into a delinquency that you cannot recover from. But realistically, most rental units have mortgages attached and it’s up to you to determine whether you’ll be making a profit. Unfortunately, this is a rather complicated process. Mortgage payment (principle + interest + PMI, if applicable). Homeowner’s association or AOAO fees. For our example, we’ll use a condominium. Let’s say that the condominium has an $800 mortgage payment, $200 in association fees, $50 in property taxes and $50 in insurance costs, for a total of $1,100 a month. Now, let’s say that in your rental market, the most that you can make on this unit is $1,450. You may think – score! I’m now making $350 a month for doing nothing! Yes… but no. You still need to factor in maintenance costs. And the times when your unit is empty. And the times when your tenants just don’t pay. This may sound like doom and gloom, but there’s really very little preventing this from happening. We all know someone who didn’t pay their rent at one point – it happens. An eviction almost never recovers the back rent owed (and incurs more legal fees). So at some point, this will happen to you. Yes, you can get a court order for someone to pay you back. But if they don’t have the money to pay you, you aren’t going to get it. Here’s the good news. You do get some significant tax breaks, such as your mortgage interest, so the picture isn’t as bleak as it may first appear. And the money doesn’t just disappear; much of it goes into the equity of your house, so you’re at least gaining value in your property even when your property is vacant. Further, you’re taxed on the income from your property – so if you’re losing money on your property, or breaking even, you don’t actually need to concern yourself with taxes. But if you do make money on your property, you should also be aware that you’ll need to pay about 30% of it towards state and federal taxes. So that is another issue you need to think about. If you own your property outright, this entire situation is drastically changed. You only need to worry about property taxes and insurance rather than everything else, so even a tenant who refuses to pay is fairly trivial. But you will still run into unexpected fees, such as maintenance and repair costs. So will you make money on your property? You need to think about this very carefully. You need to tally up your expenses and learn about the rental market around your property, to get a good feel for the prices. You’ll have it much easier if you own your property completely, but that’s simply not a situation that most people are in. How Much Should You Charge in Rent? Pricing an apartment or a home can be a challenge. The easiest way is to pick a number based on the prices of the other units in the market. Pay attention to specific features, such as their proximity to the bus line (in large cities) or the size of their yards (in the suburbs). If you get back an extraordinary response, you know that you’ve priced too low. If you get back no response at all, you know that you’ve priced too high. But what you should never do is price your property at or close to the amount that you owe on it every month. This is simply too narrow of a profit margin, unless you have a significant amount of money to spare. Pricing a property at close to its monthly cost will eventually lead to a situation in which you need to pull money out of your own pocket, and it will never end up in profit to you, which precludes developing a buffer. You should also raise your prices from year to year. With some rare exceptions, prices should go up every year. If you don’t adjust your rental cost regularly, you end up in a situation where you’re drastically undercharging. Whether you just want beer money or you actually want to make a go of this as a business, you probably have some interest in maximizing your profit. And there are ways to do so… and ways not to do it. Ascertain the most that you can charge for your unit in your market, to make sure that you are not undercutting yourself. If your unit is not comparable to the best units in your area, perform reasonable repairs and enhancements to make the unit more desirable and therefore more costly. Prepare the unit for tenants: install high traffic carpeting and ensure that the property, overall, is low-maintenance. Always complete your due diligence when selecting potential tenants. If your unit is already at the high end for a rental in your market, do not continue to upgrade it. There’s an upper cap on the amount that most people will pay in a given area, regardless of how luxurious the accommodations are. Don’t try to save money with used appliances or other similar cost-cutting measures; you will end up breaking even or worse due to the constant repairs. Likewise, don’t just download legal forms off the Internet to save money. They more than likely have some issues that will become problematic later on. Profit in the rental market is all about consistency. Is It Worth It to Hire a Property Management Company? If you have the opportunity, absolutely. Not every city will have a property management company available – it’s usually limited to very high rental markets. But a property management company definitely does make the entire process of becoming a landlord much easier. Property management companies will usually take anywhere from 10% to 20% of your gross rental income. So if your property rents for $1,000, the company will charge you $100 to $200. But they charge based on income – so months that you don’t make anything, they don’t make anything. Naturally, this can seem like quite a significant amount if you don’t own your property and still have a mortgage to pay. But long-term, it can be much easier to work with a company that knows what they’re doing and has the required resources to get things done. A property management company will handle the entire tenant acquisition process for you. They usually have lawyers on retainer to help them with evictions and other potential problems – even better, property management companies know the applicable laws, so they are able to sidestep any of the more significant issues. Property management companies can also help with issues like repairs and maintenance, which can be a significant time drain. And with all of that in mind, the fee is really rather minimal. Should You Just Sell Your Property? Usually, the alternative to renting out a property is selling it. If you’ve become an “accidental landlord,” it’s likely that you’ve either inherited a property or you have a property that you’ve moved out of. If you’ve intentionally become a landlord, well, you probably know what you’re doing already. But sometimes selling a property can be far better than renting it out. It really depends on how much you owe on the property and how much rent you can make on it. Consider this example. You own a $100,000 property outright and you can make $1,500 on it a month. Theoretically, that’s a profit of $18,000 in rent every month. Ignoring other costs, such as maintenance, that is an 18% return on your investment – very significant, and very good. If you sold the property for $100,000, it’s doubtful you would be able to find an investment that would give you even close to an 18% return. But say you own a $50,000 property and you can rent it out for $750 a month — $9,000 in profit. Add in that you have some fairly significant property taxes ($2,000 a year) and that the maintenance costs of the property are quite high (another $3,000 a year), and you’ll only be making $4,000 in profit. That’s an 8% return. You may be better off in the stock market – which requires absolutely no work. Things get even more complicated if you still have a mortgage. Now you have a $100,000 property, but your equity in it is only $20,000. You’re making $1,000 on it a month — $12,000 – but the bulk of that is going to mortgage interest and principle. Even factoring in taxes, perhaps only $6,000 of it is going to equity (and thus to profit). So you’re making 6% return. But if you sell, you will only get $20,000. Even if you can get a 20% return on $20,000 (unheard of), you still won’t beat a 6% return on $100,000. Run the numbers. The only way you can really determine whether it’s worth it to keep a place and keep renting it out is to run the numbers. Though your property is the heart and soul of your rental arrangement, there’s actually very little you will be doing to it unless you’re completing a full renovation. You’ll mostly be basing your decisions around how your property actually is rather than making any drastic changes. How Do You Prepare Your Property? Preparing your property for being rented is a little bittersweet. It’s like sending a child out into the world. God knows what kind of mischief it’s going to get into. There’s really no way of telling. But purely pragmatically, there are things that you should do. Hire a professional cleaning service and then take pictures of the entire property. You want evidence of how the property looked and a professional cleaner will find things that you may have missed. Make sure that you take absolutely all of your personal possessions out – there are lots of things that people can forget, such as things in attics or closets that they rarely use. Remember to shut off the utilities that you won’t be paying for so that the tenant can get it started in their name. It’s easier this way, unless you’re in a cold climate in which the services need to be turned on to avoid damage. Get copies of the keys to make sure that you have extra – including the mail key, which has to be one of the “most often lost” keys in existence. Make sure that you have the appropriate insurance. Get copies of everything that you need: warranty documents for appliances and more. If you live in an association, you should also get copies of the AOAO’s laws, which the tenants will need to follow. The tenants may also need to fill out registration cards. With very few exceptions, an unfurnished unit is usually preferable. Though a furnished unit may initially seem more attractive to some renters, they will very likely slowly begin purchasing furniture of their own – and then you’ll often be left to find places for your property. Moreover, your tenants could potentially damage your furniture, so it’s really not a good idea for you to leave behind anything that you particularly liked. You can really never know what’s going to happen; it’s best to minimize your potential losses as much as you can. There are some markets in which furnished properties tend to be more acceptable. Small dorm apartments, for instance, can be more desirable if they have some furniture in them. But other than that, most people do want to furnish their own homes and they may not have the same style that you do. You might think that the next step in your journey is to contact a real estate agent and/or start looking at properties. However, if that is what you thought you would be wrong. The next step is to reach out to a mortgage broker . You might want to ask your friends or family for a recommendation. What is a mortgage broker? A mortgage broker is a person who shops around on your behalf for a mortgage. They are knowledgeable about the different types of lending options that are out there. When I say lending options I am not just talking about the different lenders and banks that are out there. There are different programs offered by various banks and by branches of the government that can make it easier for you to qualify for a loan. A good mortgage broker will be up to date on all of the current programs that might be a good fit for your situation. You will want to speak with a mortgage broker before you start hunting for a property. The reason for this is that you might go and view properties with a real estate agent and feel like you are doing something important but if you are not in a position to make an offer on a property that you are interested in, you are really just wasting everyone’s time. You want to line up your financing so that when you find that property where the numbers all work you you can jump on it. If you wait until you find the property and then try to line up your financing, there is a good chance that you will lose out on that property to the next guy who recognizes it as a great opportunity. But wait. can’t you just walk into your regular bank and ask them to give me a mortgage? As a matter-of-fact you can do just that. However, let me tell you about my experience in doing that. I walked into my local big bank branch and asked to speak with someone about applying for a mortgage. I had no idea what the hell I was doing but I figured that this was a good start. The man I met with told me that I would need 20% of the purchase price of my property as a down payment and he discussed with me three different variable rate loan options. As I SAT there I did the math in my head. 20% of $250,000 comes out to $50,000. As I let that sink in, I became disheartened. It would take me a long time to save $50,000. At this point I had been saving for some time and had managed to pay off all my debts but I only had how about $7,000. In an effort to try to sound like I knew what I was talking about I remember asking him how about fixed rate loans. I can clearly remember how he rolled his eyes ever so slightly when I said this. He then told me that they could not offer me any fixed rate loans at this time. I tried not to let on how much this guy had just crushed my dream. I shook his hand, thanked him, and walked out the door. At that point I was feeling a bit uncertain about my whole plan. On a macro, life level I started to question who I was and what my life was going to be all about. I considered the possibility that I might be relegated to a life of renting and scraping to get by. It certainly seemed at that point that my dream of owning a rental property or even property of any kind was a far-fetched one. In spite of this experience I did not take the $7,000 that I had saved, head to the riverboat casino, and put it all on red (or black). Nor did I open up a new credit card and buy myself a big screen television (I did buy the TV a few months later). I decided that I would at least keep on saving money and see what might happen. Shortly after my bank experience I talked to a friend about my experience talking mortgages at the big bank. He gave me the number of a mortgage broker and suggested that I call him. My experience with the mortgage broker was far different then what I had experienced with the big branch. The mortgage broker had me compile all of my financial information from the previous couple of years. This mostly involved just grabbing my tax returns and my last few pay stubs. He then took my information and shopped it around to several banks. He also enlightened me to the fact that I could put only 3% down if I were willing to live in one of the units. Since I had intended to do this anyway, that was music to my ears. Suddenly I started to believe that this could really happen. After reviewing my financials, the mortgage broker told me that he was very confident that he would be able to find me fixed rate financing with a very good rate. In just a couple of months I had gone from believing that my dream was all but dead to feeling as though it was time to move on to the next step. Chapter 5.Which Property Should You Buy? For me, the next step was to start looking at properties. That should probably also be your next step. I already had an idea of the area that I wanted to buy property in. You may or may not want to restrict yourself to one specific area. The more open-minded that you are about where you are willing to buy, the more options that you will have when looking at properties. Ideally you would like to find a property in a trendy, up-and-coming area where real estate prices are not yet sky high. This is where you may find it helpful to contact a real estate agent. Ask around. They are not all created equally. You will want one who is knowledgeable about the different neighborhoods that you may be interested in buying property in. You may also want to connect with a real estate agent because they have access to MLS listings. They can grant you online guest access and in that way, you can see many properties “virtually” online before deciding which ones you will want to personally visit. You might be wondering what kinds of properties you should be checking out? Obviously, this is your own personal decision but I suggest properties between two and four units. If you buy a property with only one unit then you are buying a single family home. Sure, you could rent it out but it is typically easier to make an immediate profit when you have more than one unit to rent. Why only four then? There are two reasons why I recommend starting off with “only” a 2 to 4 unit building. The first is that there are different rules and regulations on loans that involve 4 units or more. There are also different rules for landlords who own buildings of more than four units. In addition, it is probably a good idea to start your property ownership career with a couple of units before you move on to buying large apartment buildings of 10 units or more. The next thing that I think you should look at is price. 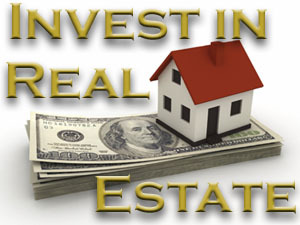 You will obviously want a rental property that produces positive cash flow. What does this mean? It’s very simple. Let’s say that you have a 3 unit building. If you could get rent of $1,000 per month for each unit then your monthly rental income is $3000. If your monthly mortgage payment (including insurance and taxes) equals $2,000 then your property would have positive monthly cash flow of $1000. On the flip side, if your monthly rental income for your three units is $3,000 but your mortgage, insurance, and tax payments total $4,500 per month, then that property would produce negative cash flow. As an inexperienced real estate investor,you will want to cross negative cash flow properties off your list. A property with a negative cash flow could end up producing income. Perhaps the neighborhood will become “hot” and you’ll be able to raise the rents while also watching your property value increase. However, if you are buying a negative cash flow property, looking to cash in when the local market appreciates, then you are speculating more so than investing. In my opinion there is no reason to take risks like this when you are first starting out. If your “Goldilocks” property does not seem to exist at the moment then keep on looking and saving your money. That way you will be ready to pounce when you eventually do find the right property. Are you still confused about how to figure out if a property will produce monthly positive cash flow? You are basicly just subtracting your mortgage and escrow payment amount from the amount that you collect in rent. How can you do this before you actually have a mortgage and are collecting rent? A few clicks around on the internet will help you to be able to figure out what your total mortgage payment will be on a monthly basis. There are several free websites that offer amortization calculators. You can actually just type” amortization calculator” into a google search and several will pop up. In addition, your bank may have one on their website that you can use. There are typically only a few different variables that you need to type in in order to figure out what your payment is likely to be. The first thing you’ll need to know is the total cost of the property. You will use the asking price or whatever number you think that you can get the property for. The second number is your down payment. If you are working with a mortgage broker, you will have worked out whether or not you will be using traditional financing, FHA, or some other financing program. This will let you know what percentage of the total cost of the house will be necessary for your down payment. At the time of this writing, for traditional financing the down payment is typically 20% of the sale price. The next number that you will need to plug in is your interest rate. After getting you pre-approved your mortgage broker should be able to give you a small range that your interest rate will lie within. I like to use the high end of the range so that I can perform my cash flow analysis in a most conservative manner. The last two numbers that you will need to plug in to the amortization calculator are the property taxes and the insurance cost. The property taxes are pretty easy. The current property tax amount should be included in the MLS listing provided by your real estate agent. In addition, your state may provide tax information on their website for any property. The yearly insurance cost is the last figure that you will need to plug into the calculator. To get this number, and for your property ownership insurance needs in general, I recommend contacting an insurance broker. Much the same way that the mortgage broker shops you around to many different banks to find you the best mortgage for your needs, the insurance broker shops around for you to find you the best match for your insurance needs. In order to keep momentum you could also contact a friend who owns property in that area and ask them what they pay for insurance. Try to ask a few people in order to get a sense of what your cost is likely to be. use a high-end estimates to keep your cash flow analysis conservative. Once you have all of these numbers, plug them in to the amortization calculator. This will give you a fairly accurate idea of what you can expect to pay on a monthly basis. This is the number that you will subtract from the total amount that you will collect in rent each month. At this point you might be asking how do I know how much I can charge for rent. The non-answer answer is that you can charge whatever someone is willing to pay. But at this stage that answer doesn’t do you very much good. Therefore, you can again lean on your real estate agent for advice on how much rents in the area go for. You can also get your neighborhood newspaper or go on Craigslist and see how much others in the area are asking for rent. Ultimately, the neighborhood that you buy in and the condition of your unit will determine how much you can get for rent. Doing a small bit of research will give you a pretty good idea of what figures you can use for your monthly cash flow analysis. Once you have a figure for each unit, add them together. You will then subtract the monthly payment amount that you got from the amortization calculator from this number. If you end up with a negative number, this property is a negative cash flow property. Another thing to consider when deciding on which property to look at and to ultimately buy, is the condition of the property. If possible, you will want to find something that is in move-in condition; or at least very close. Once you close on your property you will want to be able to get tenants in there, paying rent to you, as quickly as possible. If you are looking at a three unit buildings and all three units will need extensive work before someone can move in, you may want to keep looking. However, if two of the units are in move in or close to move in condition, you could rent those two out and work on the other unit without taking such a big financial hit. You will also want to assess the overall condition of the building. You will want to know if you’ll need to replace 15 windows in the next year, a roof, a furnace, and remove 45 feet of asbestos. It is for this reason that buyers usually hire a home inspector to check out a property before purchasing it. You will want to do this as a property investor as well. One note about this: I would shy away from a home inspector recommended by your real estate agent. There is an inherent conflict of interest in that situation. A home inspector may uncover things that will make you walk away from a deal and a real estate agent has a financial motive for a deal to get done. Again, ask around and find your own home/property inspector. You may be thinking, “I don’t know any general contractors.” You will want to network with and establish relationships with people who can fix things for you. A general contractor can perform any major work or renovation that you want done. In addition, a general contractor can help you to decide whether or not the numbers will work prior to purchasing a property. You may also want to establish relationships with a handyman or three. You will want to be prepared when your tenant calls you to tell you that something is leaking or broken. Even if you are extremely “handy” and can take care of these types of issues yourself, you will still want to have someone else available that can help you out in these situations. You do not want to put your tenants in a situation where they cannot shower for a week or do not have power in half of their unit. Ask your friends and acquaintances for referrals. Go on Yelp and read some reviews. Ask people at your church or at work. Avoid the company that has a radio spot on every 10 minutes advertising their windows and siding. They tend to charge double, triple, or quadruple what a smaller operation would charge. Same goes 4 your plumbing needs. I would call Joe’s plumber service before calling Diamond roto-rooter. It has been my experience that Joe’s plumber service will provide the same caliber of work at a fraction of the cost. One last thing to remember about establishing relationships with contractors. you will want to have backups. This is particularly true of a so-called handyman. A handyman may accept a full time position and not have the time to help you anymore. or he may decide to move to Mexico. He might also be on vacation or busy when you need him most. You just never know. Because of this you will want to always have at least one backup ready in your rolodex. When someone mentions that they are a handyman or that they have a really good handyman, get their number and file it away until you need it. Another professional that you’ll want to start thinking about is an accountant. You may not think that you need an accountant. However, I use mine mostly for taxes. I used to do my own taxes before I had any rental properties. That is because they were easy. It seemed like a big waste of money to pay someone else to do it. However once I had rental units to factor into the equation it became clear that I needed to seek the advice of a professional. He or she can help you to maximize your deductions and they will let you know what types of things you need to save and which expenses are tax deductible. I would skip Jackson Hewitt and H&R Block and find a certified professional accountant. Once again, it pays to ask around for referrals. How Should You Renovate Your Property? If you’re renovating with an eye towards renting, you should first be aware of the market. You don’t want to build out a luxury home in an area with low income housing; no one is going to rent a luxury home in that area. But if the property needs renovations anyway – if, for instance, you purchased a fixer upper – there are a few things that you might want to consider. You don’t have to go with cheap linoleum in a rental… but it helps. Expensive hardwood flooring is probably not the best idea. Tile is great for kitchens and bathrooms, but dark grout should be used because grout, when not properly cared for, can permanently stain. Carpeting will often need to be replaced between tenants – that’s just how it is. You can go with commercial or high traffic carpeting (and stain resistant carpeting is a great idea), but either way, it’s going to suffer from some significant wear. Many landlords prefer a cheap, commercial carpet because replacing it between tenants is a fast way to keep the unit looking like new. Granite countertops can be a bit overkill for a rental. There are artificial counters, like Corian, which may be preferable because they are more durable. When a granite counter stains or cracks, you need to replace the whole thing to get it looking like new again. If you want to save the environment, energy-efficient appliances are fantastic – but you may not want to use it as a cost-cutting measure. Energy-efficient appliances are more expensive to purchase and they don’t usually increase the amount that people are willing to spend for rent. So they probably won’t put any money into your pocket but they’ll probably save your future tenants some dough. Here’s an excellent tip for a landlord: learn how to paint. A fresh coat of paint can make any property look brand new. Painting between tenants and before you rent out for the first time is the easiest way to make the property look more attractive from the start. Should You Include Washers and Dryers? If most rentals in your area don’t have them, why add them? It’s just an added cost and an added item to maintain. However, if you do have them, you can probably charge more for rent. And you should. Because again, you’ll need to maintain them. You can also use a washer and dryer as a way to pull people into a longer lease term. You might offer a washer and dryer in exchange for a one year lease, for instance. Some rental markets still do include appliances. Condos almost always do, because it’s so damn hard to get them up. So you should check your local market if you’re not sure. How Should You Maintain Your Property? If you aren’t handy, you may find yourself perplexed quite a bit. Tenants will break things and then you need to fix them. Sometimes the best thing you can do for them and for your sanity is to have a good “right hand” person to do your maintenance for you; a jack-of-all-trades who can do carpeting, drywall and other basic repairs. When you’re dealing with a rental property, it’s best to get things done right the first time rather than to struggle with it, half fix it and then have to go back again and again. Not only will this drastically increase the amount of work you need to do for your money, but it will also frustrate your tenants. And there are some repairs – such as electrical and plumbing repairs – that you should never do on your own. Unless you’re an expert, you could break something that will cause a lot of damage… or even danger. Going with the lowest bid is often tempting when you’re trying to make a profit, but going with a reasonably low but competent bid is much better. When you get an oddly low bid, you should always ask what makes it lower than the others. If you can’t get a good, sensible answer, you should be skeptical. Good workers value their time. If someone is willing to work for $5 an hour, it’s because no one is willing to pay $10 an hour for their labor. Landlord laws are governed in each state by something called the Landlord-Tenant Code, which is a collection of laws and regulations regarding rental units. In general, most of the laws are very similar, but the specifics of them do change from state to state – so it’s important that you get a copy of your local Landlord-Tenant Code as soon as possible. Ha. Not many. And for good reason. As a landlord, at worst, you stand to lose some property or some money. As a tenant, they stand to lose their home. (Unfortunately, most of us aren’t aware of these rights when we’re actually tenants.) Tenants have almost all of the rights. You can’t simply enter into your property unannounced unless there is an emergency (such as a flood). You must give the tenants notice. The amount of time you need to give them varies based on state. You cannot lock out a tenant who has not paid their rent, nor can you turn off the utilities. This is extremely illegal. You must abide by proper channels of eviction. You can evict tenants for non-payment of rent and damage to your property. However, you need to give them notice of the eviction and if they do not leave, you will need to go to court to get a Writ of Possession, which the local Sheriff will enforce. The right to begin eviction proceedings as necessary. The right not to renew the lease. The right to inspect the unit at reasonable intervals during scheduled times. The right to enter the unit if an emergency is occurring. The right to deduct reasonable repair costs from a deposit. There are also certain rights that you can give yourself within the lease, such as the ability to raise the rent on an annual basis, or the ability to terminate the lease if any component of the lease is violated (such as having overnight guests or having pets). What Are Some Common Legal Problems? Laws don’t necessarily abide by common sense. And where laws do diverge from common sense is where people tend to have the most problems. You should never just assume that you can do something. Here are a few of the most common legal problems that landlords run into. Have you ever played host to a friend who was down on their luck? Perhaps allowed them to stay in your spare bedroom? Surprise! You were already a landlord and you didn’t even know it. But because your friend wasn’t a psychopath, you were probably just fine. Once a person stays a certain amount of time (depending on your state, it could be as little as a week), they acquire all the rights of tenancy. Which means that they could, for instance, require 30 days (or 45 days!) of notice to move out. And they wouldn’t have to pay a cent. And, at this time, they could even invite other people to stay with them. Because their tenancy allows them to bring other people into “their” room, which would be your spare room. Because there is no lease, so you haven’t limited that right. People often think that the lease is to protect the tenant, but it’s really not. The lease is to protect you, the landlord. Without a lease, the tenant is essentially assumed to have all possible rights. The lease is designed to limit these rights to a more reasonable level and to lay out the appropriate expectations between both parties. A boilerplate lease contract downloaded from the Internet simply isn’t going to have the vital information that you need on it. You need to spend a lot of time on your lease contract; everything from late fees to whether the tenant can smoke should be covered. Tenants need to be given notice for a variety of things; when you’re going to inspect the unit, when maintenance may come by and when you’ve decided not to renew their lease. The latter is very important; it shouldn’t just be assumed that the lease is going to end. Most leases require that you notify the tenant either 30 days or 45 days before the end of the lease that you are deciding not to renew it. Otherwise the lease rolls over into what is called “month to month” tenancy, in which the original lease terms are still applicable but the lease term itself is carried over only every thirty days. As a landlord, it’s your duty to ensure that the property is safe for your tenants. This means that the property does need to be secure, that the appliances should work and that the heating and cooling systems should not malfunction. If you do not complete repairs in a reasonable amount of time (again outlined by the Landlord-Tenant code), your tenants can withhold rent from you or complete the repairs themselves and bill you for it. Of course, there is a sort of gray area. Is a scratch in the floor tile a necessary maintenance item? Probably not. But a broken floor tile? Yes – it’s dangerous and could be tripped over. This one is a little difficult to tackle because the only way that you can reasonably violate these is if you’re being a jerk. Discrimination laws mean that you should not discriminate against protected classes (such as race, gender and religion) when renting out a home or apartment. And of course, since you’re a reasonable person, you would never do such a thing. However, there is one exception: if you are renting out a single room in your own home. When you’re really looking for a roommate situation, you are allowed to discriminate. All of this really underscores the importance of not only learning your Landlord-Tenant Code and talking to a lawyer if you end up in a difficult situation. The contract between a landlord and tenant is a legal one, so many of the issues that you will face will involve legalities. As a final note – don’t call the police for anything other than an emergency. Police do not handle most landlord – tenant disputes. You can call a non-emergency police line if you have questions, but don’t be surprised if they direct you to call your lawyer. While this could go under a common legal problem, it really deserves and requires its own section. You should only ever listen to a local lawyer regarding your legal problems. Ever. Do not take the advice of a website. Do not take the advice of your family and friends. They are almost always wrong. Family members will tell you to do things like change the locks to lock out a bad tenant (highly illegal). Friends always have stories and opinions: “Well I heard…” or “Well I would…” That doesn’t make them experts in the law, and just because they didn’t get sued doesn’t mean that you won’t be sued. Lawyers who are in different states may not know your state laws or may not even be trained in landlord – tenant laws, which are a specific area of law. Do not listen to “a” lawyer, listen to your lawyer. There are low cost legal clinics in most cities where you can get advice without having to pay an arm and a leg. It’s extraordinarily dangerous to get advice from anyone who does not have regional legal training. Tenants want to reside in a well maintained, stable, safe, decent long-term environment at a reasonable price without sacrificing their freedom of choice over their lifestyle. Landlords want to lease their houses to those who will, over the long term, occupy, take the initiative to preserve, improve, and protect: and consistently make agreed upon payments that will provide a reasonable, secure investment yield in return for shelter. Both tenants and landlords would like to be able to meet their needs at the lowest possible cost, without the interference of the other. Under the best of circumstances, by making a real effort to empathize with each other’s position, tenants and landlords can both reap a much more satisfactory result from the rental relationship. Maintaining an adversarial position can not fail to have the opposite results. Recognition of this fact is the key to both tenants and landlords achieving their respective goals. Explaining how they might accomplish this is the purpose of this booklet. According to law, tenants have the right to expect certain things of landlords insofar as their residences are concerned. But, Landlord and Tenant statutes very considerably among the States. In some instances, the duties to the tenant of a single family house landlord to maintain the premises will be less than they might be to the resident of a multi-family rental. Mobile home park tenants who own their own homes usually have more protection under the laws than those who rent the mobile homes to live in. Security deposits and advance rents may be given to secure the tenants’ performance on a lease, or to indemnify a landlord against damages to the premises. Sometimes special deposits are required to compensate the landlord for cleaning, for various appliances and equipment on the premises, and as surety to be certain fragile landscaping is protected. Usually, the law requires deposits and advance rents to be held in a separate account for the benefit of tenants. These funds can not be commingled with other commercial accounts or the private funds of the landlord, nor pledged as security for a loan. Anytime that a landlord imposes a claim against these deposits, the tenant must be informed in writing and given a chance to object to any disbursement. A tenant has the right to expect that the premises rented will be habitable. That is, that the property will be weather-tight, that all doors, windows, screens, fixtures, installed appliances, and locks, heating, cooling, plumbing, mechanical, and electrical systems will be functioning properly, Habitability not only includes functioning systems. It also applies to safety and security. A tenant has the right to presume that no unsafe conditions exist of which he has not been specifically made aware by the landlord. These might include loose stair rails or steps, broken and uneven pavement, exposed electrical wires and/or overloaded electrical circuits, fire hazards, old wells, derelict out-buildings and equipment, and barbed wire fencing. Some hazards aren’t easy for a tenant to spot as the result of reasonable visual inspection. Thus, these require extra warnings from the landlord. These include the presence of high voltage electrical circuits, gas lines, potentially dangerous criminal activity in the vicinity, lead-based paint hazards, radon gas, and asbestos. These should be pointed out in writing by the landlord, and backed up with posted signs, where appropriate. Most State laws provide that when a person is buying a property on some form of an installment contract, including leases with Options, the landlord has a lesser duty to maintain residential premises than with a pure rental agreement. By the same token, the occupant buying under the contract has a greater obligation to keep the premises functioning and safe. Thus, landlords who want to reduce their responsibilities might consider leasing their rentals on some sort of “Rent-to-Own” program, or leasing them with purchase Options. Tenants who want greater maintenance support from their landlord should be certain that this is spelled out in lease/Option contracts. There are various situations in which a landlord must formally notify a tenant of a violation in the terms of a lease or rental contract prior to taking any additional action. These usually boil down to two different situations. The first is non-payment of rent. The second occurs when the tenant has done something that should not have been done, or has not done something that he should have done. The most egregious of these is failure to pay rent on time. When rent isn’t received on time as agreed, unless there are some legally mitigating circumstances, in most States the tenant must pay up or move out. The landlord must notify the tenant by serving him a “Pay or Quit Notice” in person, through an agent, by posting a notice on the premises, or by mail. This notice will give the tenant a legally mandated period – usually three working days, or five calendar days plus weekends and holidays – within which all funds required under the terms of the rental agreement must be received by the landlord. If rent isn’t received, the landlord can proceed to file suit for eviction in court before a local judge or magistrate. Notice of the suit is served on the tenant demanding payment of rents, late charges, and legal costs, and he is usually given a reasonable time to file an answer to the landlord’s accusations. Once an answer has been received, a date is set for a hearing at which the court determines that the tenant has been properly notified of the amount of rent due and that indeed no rent whatsoever was accepted by the landlord during the interval between the Pay or Quit notice and the hearing date. Along with this, any other defenses offered by the tenant are considered. Although it seems to be a drastic approach, filing for protection under federal bankruptcy laws is another way that tenants can stop eviction in its tracks. Until the landlord is able to get the stay of all legal collection enforcement actions imposed by the bankruptcy lifted, no action can be taken by the landlord to obtain property. Actions precluded by the stay include efforts to collect back rents, or to seek levy of any landlord’s lien, or attempts to set off security deposits against overdue rent. Any landlord who violates these provisions is subject to being cited for contempt by the Bankruptcy Court. Lease clauses that state that the lease automatically terminates, or is in default, when the tenant files a petition for bankruptcy are generally ineffective. The landlord must file a petition for an emergency lifting of the stay of Bankruptcy in order to proceed with the eviction. Following this, a judge then orders a date for eviction, and the tenant is given time to move out. If he fails to do this on his own volition, the landlord usually moves his furniture out, or places it into storage. Both of these actions are usually supervised by a Deputy or a Marshall. Anytime a tenant has left his living quarters vacant for at least one half of the rental period, has not paid rent, and has not advised the landlord that he will be gone, the landlord can presume that the tenant has terminated his tenancy and abandoned not only the premises, but also any furnishings and property left on or in the premises. Laws vary among the States as to how the landlord must deal with this property. Sometimes personal property left on the premises can be taken by the landlord as an offset against rent owed or damages caused by early termination of the rental period. In Florida, abandoned property with a value in excess of $250 must be secured against theft or destruction by the elements. It can be left in the premises or placed into storage elsewhere. Before a landlord can claim it, if possible, the departing tenant must be notified in writing of the amounts due, and of the fact that the property will be sold at public auction in an effort to collect what is owed. Depending upon local law, public sale notices must be placed into newspapers of general circulation for two weeks prior to the property being auctioned off. First of all, the tenant’s late rent payment can cause the landlord to also be late on his mortgage payment, and to incur not only late fees but additional compound loan interest that would ordinarily not accrue. Second, unpaid rents must be entered into a variety of accounting and tax records. Third, various Pay or Quit notices must be prepared and arrangements made to have them delivered in a timely fashion to the tenant. Fourth, the landlord must begin to prepare for a potential eviction action. It’s not a bad idea for the landlord to place his attorney on notice of the Pay or Quit notice so he will be able to swiftly act to initiate legal proceedings at the earliest possible date. And, the adroit landlord will alert his maintenance and cleaning crews to be able to move in swiftly to put the property into condition to rent to a new tenant. Even when the overdue rents are paid and the eviction proceedings terminated, the landlord’s costs are eventually translated into late rent fees, lost discounts, cancellation of any Options, and rent increases. Unpaid rents can cause the tenant to have to relocate on short notice once the lease has been declared in default and eviction has been initiated. And, it always reflects poorly on a tenant’s credit rating. c. Observing any general restrictions, limitations, rules, and regulations that have been published by the landlord, and either delivered to the tenant or posted on the appropriate bulletin and notice boards such as may be in the lobby of an apartment or condominium building. d. Heeding any warnings and notices of violations, and taking action to remedy the situation before they constitute a breach or default in a lease or rental agreement. e. Refraining from becoming a “holdover” tenant who remains in the premises without the written permission of the landlord for a period that extends beyond the specified expiration of the tenancy in a lease; and who would subsequently become liable for double rents. f. Taking adequate measures to install, protect, preserve, and remove all tenant-owned personal property so that none is deemed to be “abandoned”, and to make a timely claim to recover any such property prior to its sale. g. Where the tenant has an Option to lease, giving the landlord ample notice of intent to terminate or renew a lease. According to Sam Goldwyn, “a verbal contract isn’t worth the paper it’s written on.” When it comes to the legal rights, duties, and obligations of both tenants and landlords, there’s no doubt that a reasonable written lease is a fundamental building block in a satisfactory landlord and tenant relationship. But, the mere drafting of a lease without taking both tenant and landlord concerns into consideration can, at worst create animosity and distrust and at best fail to go far enough to create optimum benefits for each party. Where both tenant and landlord go wrong is to substitute adherence to rigid minimum legal requirements for the give and take of a flexible, productive, cooperative working relationship. Avarice: Landlords invest in rental houses in order to get a higher after-tax yield on their capital than they might get by investing in other alternatives. Consider rental property yield from the standpoint of standard accounting practice. It treats the rental property as if it were free and clear of all debt. Total yield then is comprised of net monthly income, after all operating expenses and reserves that should have been set aside for replacement of capital items, and income taxes, have been paid. Based upon national averages, landlords who keep an honest set of books typically pay out about half of every dollar of rent they collect just to operate a property. Operational expenses properly include the cost of property management, or the fair market value of the owner’s management if he does it himself, vacancy, which includes unpaid rent and bad check losses, repairs and replacement of non-capital items, maintenance support, materials and supplies, utilities, tools and equipment, appliances, property taxes, licenses and fees, property and liability insurance, advertising and rent up, legal and professional fees for bookkeeping, accounting, and income tax preparation. Even though they aren’t deductible for tax purposes, from the standpoint of cash flow, as part of the process to see how well their investments are doing, landlords must also include the costs of replacing expensive items such as roofs, heating and cooling equipment, carpets, paving of parking lots, etc. The bad news is that capital repairs and replacements must be paid for out of cash flow, but can’t be deducted as operating expenses. The good news is that they and the rental house itself can be depreciated or amortized over several accounting periods even though they may not be actually wearing out. So, some of the operating expenses used to arrive at net operating income consist of “phantom” expenses that don’t necessarily reflect actual “out-of-pocket” costs to the landlord each year. Once all operating expenses have been paid, the costs of mortgage debt financing has to be paid out of what is left over. There are two principal components to mortgage loan payments. One portion of each payment is applied to reduce the principal amount owed. Another portion consists of pro-rated monthly interest that must be paid on the remaining unpaid loan balance. After all of these expenses have been paid, the landlord also must pay income taxes on his annual taxable net income before he can use any excess return on his investment to pay his other bills. How Do You Find a Perfect Tenant? Run a credit check. Now, a lot of people have bad credit these days and this isn’t always an indication of their willingness to pay rent. But having an eviction on file is a very bad sign. Run a background check. You do want to make sure that this person isn’t, say, wanted for murder or something. There are services that will roll the background check into the credit check in one easy to read portfolio about the person. Call their references. You really need to do this part. Call their previous landlord. Ask them what type of tenant they were. If you get short or nonexistent answers, you should be very cautious. While a landlord isn’t going to bad mouth most of their tenants (that opens them up to potential legal problems), they also aren’t usually going to lie and say that a terrible tenant was fantastic. But even this really isn’t a guarantee to getting a good tenant. What you do have control over, however, is keeping a good tenant. If you find a tenant who takes care of your property and always pays rent on time, you should do all you can do to keep that tenant! Should You Accept Tenants With Pets? The dog-and-cat-owner in me says: YES! But the more pragmatic side of me says, dear god no. It really all depends on how much you trust your tenants and, well, how much you like your property. When you rent to pet owners, you are taking a huge risk… but you’re also doing something that’s, well, good. So there’s that. When pets aren’t taken care of properly, they do smell. And that smell can get into everything. The walls, the carpet, everything. Cats are worse for this than dogs. Dogs, however, will ruin… a lot of things. Their claws tear up the carpet and they tend to absolutely destroy yards. That being said… there are a lot of people with pets and those who are willing to put up with pets in their rental can usually charge more than others because, well, people love their animals. You can offset the risk of taking on a tenant with pets in two ways: a pet deposit and a monthly pet fee. Pet deposits can be used to pay for damages just like any other deposit (it actually just increases the deposit amount) and the monthly pet fee is direct income that you collect every month. You can use one of these options or both of these options. If you do decide to allow pets within your rental, you may need to increase your inspections. An annual inspection is enough for most tenants, but a six-month inspection may be better for those who have dogs or cats – especially if they have multiple pets. So it’s come down to this. First of all, you need to know when you can evict a tenant. Again, you should check state laws because the laws do vary from location to location. But in general, to evict a tenant your tenant must be in violation of your lease, not paying you rent or actively (and severely) damaging your property. If your tenant isn’t paying rent, the situation is fairly clear-cut. But if your tenant is causing property damage or violating your lease, you should check with a lawyer before moving forward. This is in a gray area: there’s no clear way to tell, for instance, when property damage is severe enough that you can evict. Is a trash-strewn home worth an eviction? It may not be immediately clear. In any case, the process begins by posting a notice of eviction. Depending on your state, you may be able to give them a 48-hour notice or you might need to give them a longer time period. Either way though, the eviction tells them when they should be out – not necessarily when they will be out. Because, well, they can just stay. And most tenants will, if only because they may not have anywhere to go. If following your eviction, the tenants are still there, you need to go to court to get a Writ of Possession. The judge will look over your documents (you did keep everything, right?) and will give you a court order that lets you take control of your property. Once you have this order, you can arrange with the Sheriff’s department to go over to your apartment and to get the people out and change the locks. Quite often, at this stage, the tenants will miraculously disappear on their own. But even then, you have a problem, because you often have a bunch of their stuff. In many states, you can’t just give away their stuff – you need to keep it for a certain period of time. And once that time passes, you still can’t give it away – you need to sell it for a reasonable amount based on the value of the item. And then, if the money you made is more than what they owed, you need to track them down and return the excess. Yes, all this may seem complicated, but there’s something you need to consider. As a tenant, you’ve probably had one or two landlords that were complete jerks. Really unsavory people. Without the above process, those landlords could have ousted you on the street! You could have ended up homeless! If we didn’t have these safeguards in place, the world would simply be a much less pleasant place. So there are reasons for these rules and though they may seem unfair, they are important. What Should You Look For During an Inspection? Property inspections are some of the most uncomfortable events for both landlords and tenants. For a tenant, it feels as though you’re violating their space. For a landlord, you need to make sure that your property is being taken care of without trying to pry too much or push too hard. An inspection isn’t all about what a tenant is doing “wrong” or what a tenant has broken or mussed up; an inspection is also about making sure that the property itself is still in good shape. Many new landlords forget this and do not check things that they should because they are focusing too much on what the tenants have done (or haven’t done). Always inspect the roof, the attic and the foundation of a home. It’s very unlikely that your tenants will be maintaining or even paying attention to these areas. These areas aren’t likely to be damaged by the tenant, but by general wear. Pay attention to the smell. A home can be quickly picked up, but a bad smell will linger. If it smells bad but looks OK, you may not have a problem now… but you probably will have a problem later. Look for signs of insect infestation. Pest control services should be required – either done by yourself or by the tenant – and an insect infestation can quickly make the house uninhabitable and unsafe. Always inspect for water damage. Water damage can be incredibly terrible for a property and your tenants may not notice a leak if it is slow or inside the walls. You should look around the walls, baseboards and other areas for any signs of paint peeling. Take a look at the HVAC ducts. Your tenant may not be changing the filters properly or may not even know to change it, which could increase wear on your central air system. Though it’s not strictly necessary, talking to and engaging your tenant throughout this process will make it a lot more pleasant for both of you. This is the type of question that you need to look deep inside of yourself to answer. Everyone’s had a situation in which they missed a paycheck or had an emergency and there was no way of getting the rent. It’s a terrible situation. And as a landlord, you naturally want to forgive this. But… there’s a limit to how much compassion you can show people. There are always things going on in everyone’s life, and once someone becomes habitually late they will continue being late because they have broken the seal on it and it’s become easy. So you should be kind when you can afford to be, but it is just business. Don’t be afraid to be hard on people with the knowledge that if it really comes down to it and you realize they really can’t pay, you might be able to make an exception (if you’re willing).